BRYAN EATON/Staff photo. 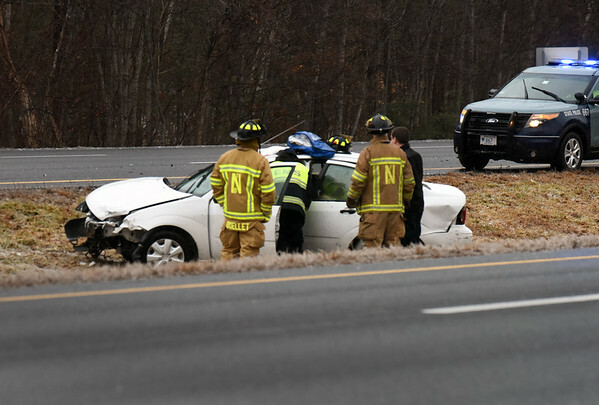 Newburyport firefighters and state police respond to a car in the median on Interstate 95, just south of Route 113 in Newburyport late Tuesday morning. Many spinouts and cars off the road, including a tractor trailer, occured during the icy weather.